Minister of Youth and Culture, Hon. 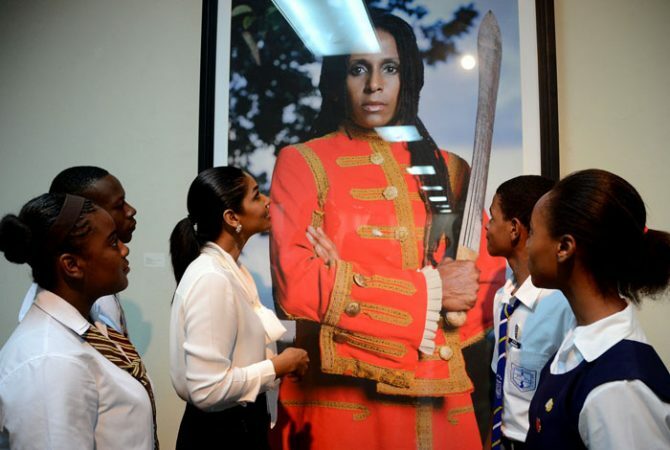 Lisa Hanna (third left), and students from various high schools in the Corporate Area, examine a piece entitled ‘Red Coat’, during a tour of the National Gallery of Jamaica in December. The tour formed part of the launch of the Ministry’s culture card programme. 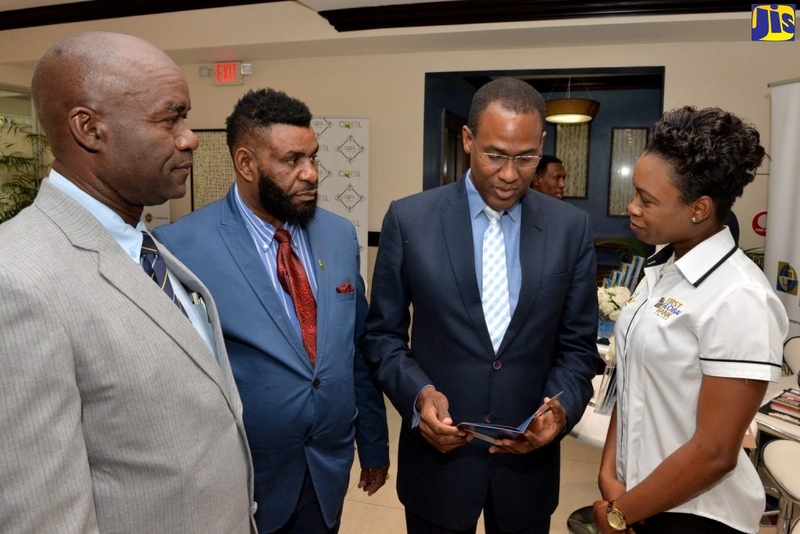 The card will allow some 100 students to access, free of cost, the museums and galleries of the Institute of Jamaica, Jamaica Cultural Development Commission (JCDC) events and JAMBIZ productions. IOJ has implemented several measures aimed at promoting the island’s museums, enabling easier access to, and encouraging greater appreciation of Jamaica’s heritage. Museums will be opened to the public on Saturdays, to allow more people to view the large collections of artefacts and art treasures. Effective May 3, the Institute’s East Street, Kingston complex will be opened to the public on Saturdays from 10:00 a.m. to 3:00 p.m. The Institute of Jamaica (IOJ) has implemented several measures aimed at promoting the island’s museums, enabling easier access to, and encouraging greater appreciation of Jamaica’s heritage. These include opening museums to the public on Saturdays, to allow more people to view the large collections of artefacts and art treasures. The divisions to be opened are the National Museum of Jamaica, the Natural History Museum of Jamaica, and the Jamaica Music Museum. Executive Director of the IOJ, Anne Marie Bonner, says special events would be planned periodically to enhance the Saturday experience. “We are looking at setting up date-nights for the young adults. We will be having a series of movies that we will be showing in the afternoons and several activities for the children, including story-telling and puppetry,” she says, adding that other programmes are being developed for children and adults during the summer holidays. She points out that “museum education” is very important, not only for students. 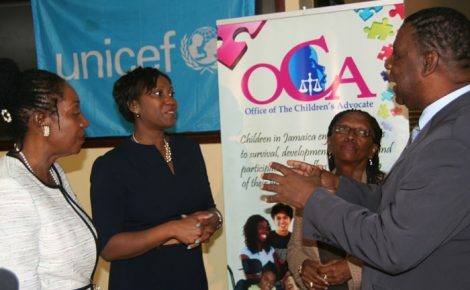 “We are also extending our outreach to young adults, families and senior citizens because we feel it will benefit all Jamaicans and not just young people,” she says. Established in 1879, by then Governor of Jamaica, Sir Anthony Musgrave, the IOJ, an agency of the Ministry of Youth and Culture, is responsible for the establishment and management of museums and galleries for the collection, preservation, and display of artefacts. 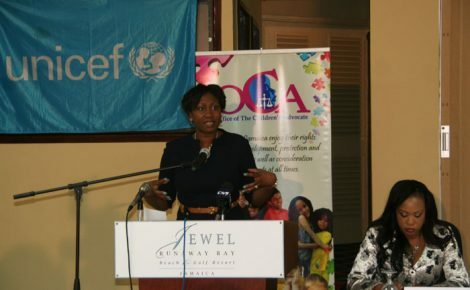 Other functions include the documentation and dissemination of information on the impact of the African presence in Jamaica and the wider Caribbean, maintaining and displaying Jamaica’s national flora and fauna collection, and developing the creative potential of children. The Institute is also responsible for the Museums of History and Ethnography, the Natural History Museum of Jamaica, Programmes Coordination Division, the National Gallery of Jamaica, Jamaica Music Museum, the African Caribbean Institute of Jamaica/Jamaica Memory Bank, and Liberty Hall – The legacy of Marcus Garvey. “We are trying to encourage people to see the museums as a very important resource, not just of history but to help us to understand who we are as a people and to help us to charter our own way forward as a people,” Miss Bonner says. “The division is the storeroom of about 17,000 artefacts in the national collection under the management of the National Museum of Jamaica. So that would be a broad spectrum of artefacts that would relate to our history,” she adds. She also points out that there are a large number of pieces at the National Gallery of Jamaica. “This Gallery charts the growth and development of Jamaica’s greatest artistic endeavours, from Taino Indian artefacts to Spanish and English colonial art and the latest work by Jamaican artists,” she informs. The Gallery’s permanent display contains works of famous Jamaican artists, such as Mallica “Kapo” Reynolds, Barrington Watson, Albert Huie, Carl Abrahams, and Edna Manley. The Executive Director spoke, also, of the vast collection of artefacts at the Natural History Museum of Jamaica, where the gallery has been closed for a number of years. “We have one of the best herbarium collections in the Caribbean. It is very vast and it’s old and well documented,” she adds. “It is a very popular museum so with its closure a number of students no longer have the benefit to see the natural history museum. We have a discovery room but it’s much smaller and doesn’t allow for a broader scale of the various artefacts and collections,” she says. Miss Bonner says repairs are currently underway at the museum, with the objective of reopening in 2015. She also disclosed plans to open the National Museum Jamaica West in the Montego Bay Cultural Centre, formerly the Montego Bay Civic Centre. “It is being refurbished and redeveloped as a full-scale cultural institution and it will house the Natural Museum Jamaica West and the National Gallery West,” she says. In addition, there are plans to repair the People’s Museum in Spanish Town. Refurbishing work will be undertaken with a grant from the Tourism Enhancement Fund, and implemented by the Project Management Department of the Urban Development Corporation. Miss Bonner notes that the building, located in the historic Spanish Town square is very old and in need of repairs. “So the redevelopment of the People’s museum is part of a wider development of that whole area in historic Spanish Town. The museum will be closed and we will set up a new exhibition in its space when it is re-opened,” she explains.